Active Profile has been appointed to develop and deliver a marketing and communications strategy to support a new advanced manufacturing European Regional Development Fund (ERDF) project in the Liverpool City Region. Known as LCR4.0, it is the first business support programme of its kind in the country and is aimed at helping manufacturers to take advantage of new digital technologies to help boost productivity and stimulate growth. It's a collaborative programme delivered by the University of Liverpool (Virtual Engineering Centre), Liverpool City Region Local Enterprise Partnership (LCR LEP), Liverpool John Moores University, the Science and Technology Facilities Council’s Hartree Centre and Sensor City. Active Profile, which has offices in Liverpool, Manchester and London, is tasked with raising the profile of the project regionally, nationally and internationally. Jo Spragg, senior account director, said: “LCR 4.0 is a three-year project that has the potential to create growth opportunities not only for the region’s manufacturing industry, but for the digital and engineering sectors too. The agency has also been reappointed by the Business of Science Conference to support its 2017 event. The conference, which first launched in Manchester earlier this year, will return to the city with a focus on science, innovation and skills in May next year. Active Profile’s Manchester client base has also been boosted by Buffalo 7, the UK’s leading PowerPoint presentation design agency. 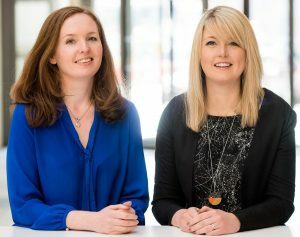 “We have just reached the end of the first quarter for our current financial year and these new appointments along with the growth of existing accounts have marked a really positive start,” said Anna Heyes, managing director of Active Profile.